Ancient Greek arenas have always been the places for gladiators to prove their strength, skill and bravery. In fact, our new Duel Arena was created and constructed just for this purpose. Rather than as a place of animosity and bloodlust, this specific arena is dedicated to those members of each faction who wish to test their mettle against friendly opponents of the same faction, in order to strengthen their characters, utilize unfamiliar skills and test new strategies. Or it could be just to settle a dispute about who kicks the most tail in the faction, and that's perfectly ok too! To access the Duel Arena, adventurers must get help from the NPC Battlefield Transporter in each faction's main city. 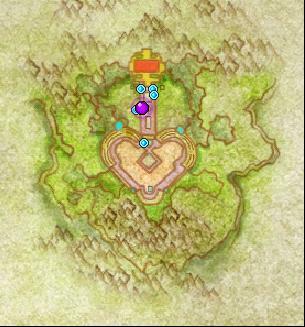 The Duel Arena is primarily divided into a waiting area and a combat area. In the waiting area, there are 3 NPCs, one selling items to restore health and mana, and another who helps to restore health and mana, and the NPC Arena Gatekeeper who dispatches adventurers to the combat area. 1. When sent to the combat area, all players will appear at random locations around the area. 2. Adventurers in the combat area are allowed to attack one another regardless of faction. 3. When entering the combat area, adventurers from the same faction are allowed to team up. Players who have teamed up will not be able to cause damage to teammates. 4. There are no time, spell or mode limits in the combat area.